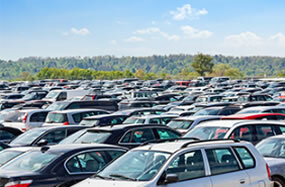 We provide secure, convenient, and safe airport parking at highly competitive rates. With our free, on demand mini bus service and simple booking procedure, parking your car couldn't be easier. 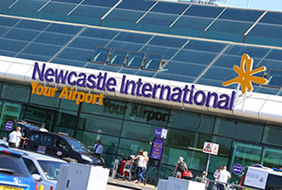 Our self-parking option is just minutes from Newcastle Airport and includes a free 24/7 bus service to and from the terminal. Book the Long Stay car park onsite at Newcastle Airport and use the free on demand bus to take you to the terminal. Drop off your car at the airport's Fast Track car park, it will be parked securely for you; leaving you just metres from check in. 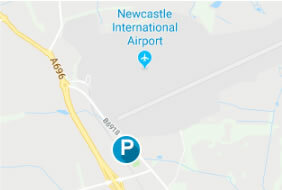 Callerton Airport Parking is located less than a mile from Newcastle Airport, just off the A696; two miles north of the A1. Callerton Parking locations at Newcastle Airport are accredited to 'Safer Parking' status, recognised by the Park Mark Award. This guarantees high levels of secure parking, including 24 hour manning, patrols, CCTV, fencing and security gates. © 2018 Callerton Parking. All Rights Reserved.